This week, Guy, Wynter, Margaret, and Karen talk about Jordan Peele's newest horror film Get Out*. They discuss the racial and political implications of the film, Wynter contextualizes the role of black people within the horror genre, and the gang discuss their favorite scenes from the movie. As always,the panel tells us what they are all about this week. Karen talks about 45 eating America's meat of choice with ketchup, Margaret recommends a memoire and Wynter talks about Feud. Plus Guy keeps us up to date on his latest obsession with Calypso, and the rest of the gang provide their latest jams. *Please note that this episode is rife with spoilers, so if you haven't seen the movie yet, please keep this in mind! Ray Suarez guest hosts this week. 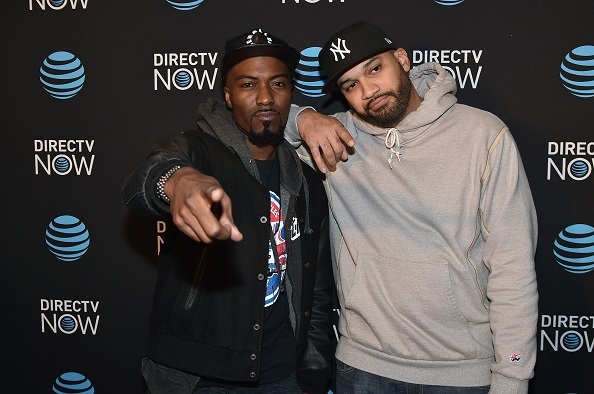 Desus and Mero have worked together since 2013 when they started their first podcast Desus vs. Mero but have actually known each other since going to summer school together in The Bronx. Both Mero and Desus have huge Twitter followings, where they first cultivated a rapport. Eventually, they transferred it to podcasting. After their first podcast ended, they started The Bodega Boys which has a similar vibe and is everything that makes podcasts great; improvised, diverse, hilarious, and irreverent. Their success in podcasting has lead to Vice tapping them to host their flagship late-night show on Viceland, the new television network. It's called Desus & Mero, of course. In for Jesse Thorn, public media legend Ray Suarez talk with Desus and Mero about their new TV show and the differences between being funny on twitter and producing a TV show or podcast. They tell us why they talk about race so much, and give us a look into what it was really like to grow up in Bronx in the 1980's. You can watch Desus & Mero weeknights at 11 p.m. on Viceland. You can also find The Bodega Boys podcast on iTunes or wherever you download podcasts. 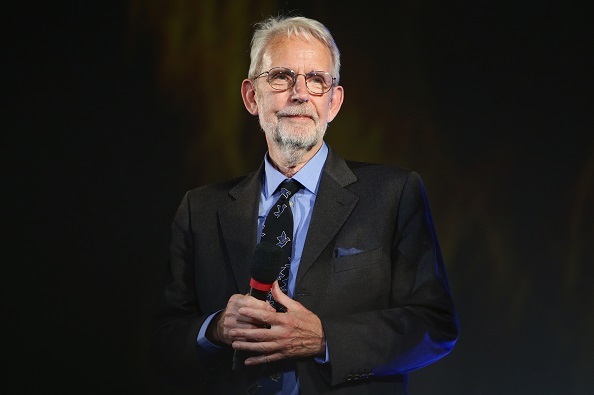 Three time Academy Award winning sound designer and film editor Walter Murch has been a part of Hollywood scene for over 50 years. One of his most frequent collaborators is Francis Ford Coppola - he worked on Apocalypse Now and The English Patient. In his free time, though, he does something completely different: astrophysics. He's particularly mesmerized by Bode's Law, the almost 250 year old theory that explains the spacing and orbit of the planets. Murch is the subject of Lawrence Weschler's new book Waves Passing in the Night, which chronicles Murch's education in astrophysics. Murch tells Ray about how the move from analog to digital machines changed the game, his obsession with science and astrophysics, and what he learned about sound editing from Marlon Brando. Waves Passing In The Night is out now. Ray tells us why the HBO limited series The Young Pope is so surprisingly captivating. This week Guy has returned from New York and the gang is back together to talk about legal dramas! They talk about the new CBS All-Access series The Good Fight, their favorite legal dramas of all time, and they get real about which TV or movie lawyer they would want to represent them in court. Wynter talks about her love for true crime, Margaret tells us what The Accused got right, and Karen talks about a Barbara Streisand classic. Plus we learn why Guy is currently obsessed with Calypso music and which documentaries you should be seeing this weekend. As with every week, we find out what the panel is all about and why jams they cannot stop listening to. Each week we'll add everyone's jams to this handy Spotify playlist. This week, Guy is in New York but not to fear! Margaret Wappler fills in as host with Wynter Mitchell and Karen Tongson to talk about music's biggest night, The Grammys. They talk about everything, from the production to the performances to the winners and almost more importantly, the losers. Music critic for outlets like Slate, NPR, and Pitchfork Chris Molanphy pops in to provide context about The Grammys and to deliver his opinion on the results. Plus the panelists share what they're all about this week, and what they can't stop listening to. This week Jesse talks with standup comic Pete Holmes. 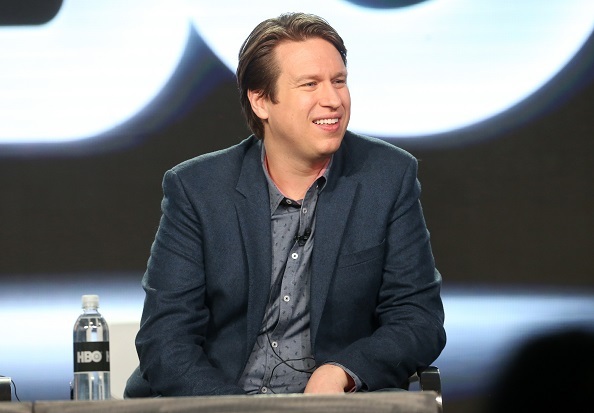 He's the creator and star of Crashing, a brand new show on HBO that's based in part on his life. Compared with many of his standup peers, Pete had somewhat of an atypical upbringing. 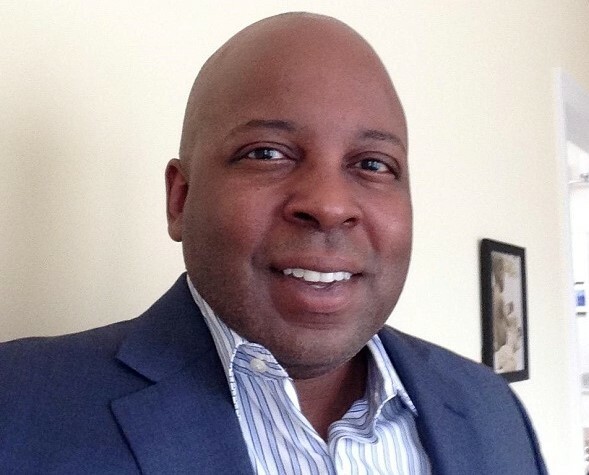 He was raised as an evangelical Christian and attended a Christian college, where he studied to be a youth pastor. He began performing standup in his early 20s, getting his start in New York City's club scene before playing to crowds around the country. At the age of 28, Pete's marriage fell apart, which forced him to reevaluate his life and beliefs. Pete talks to Jesse about how setbacks such as his divorce and the cancellation of his late night show on TBS, The Pete Holmes Show, ended up paving the way for his current success. His divorce also supplied autobiographical material for his new HBO series Crashing. In the show, he plays a young comedian who finds himself dazed and newly single after his wife leaves him for a boxer. Crashing premieres on HBO on February 19th. Jesse also talks with Mike Mills, director of 20th Century Women, which is up for the Best Original Screenplay Oscar. 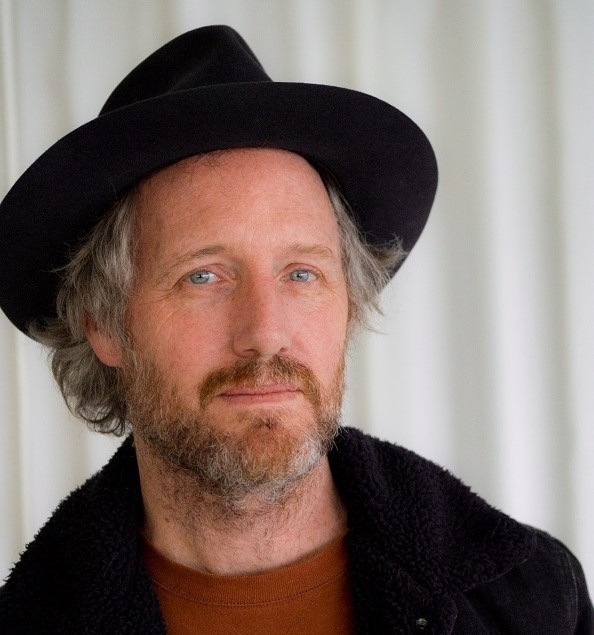 Before his career in feature films, Mills made his name directing short films and music videos, working with bands like Air, Blonde Redhead, and Pulp. In 2010, Mills directed Beginners, a comedy/drama that told the story of a fictionalized version of his father, who came out of the closet in his late 70s. Christopher Plummer, who played his dad, won an Oscar for Best Supporting Actor. Mills' latest film, 20th Century Women, is about his mom. It tells the story of Dorothea (Annette Benning), a single mom living in a big house in Santa Barbara with two boarders and her teenage son, Jamie. The movie is also an exploration of the 1970s cultural landscape, including 2nd wave feminism and punk rock. Mike talks with Jesse about his relationship with his parents, who grew up in the Depression era, as well as his philosophy on character development. He also tell Jesse about one of his first loves: skateboarding. Learn more about 20th Century Women and where you can watch it. You might laugh if you hear about a movie with CGI-rendered talking animals, but that just means you haven't seen Babe: Pig in the City. In this week's Outshot, Jesse explains why a movie about a brave little pig wandering through a bustling metropolis makes him cry every time he watches it. Cristela Alonzo is a veteran standup comedian, actress, writer, and producer. She's also something of a pioneer. You might remember her from the ABC sitcom Cristela, where she was the first Latina to create, write, produce, and star in her own show. In this week's episode, she talks to Jesse about her formative years growing up in South Texas with an undocumented parent. Hiding from police and immigration raids were daily realities in her small border town. Her family was also desperately poor--she recalls squatting in an abandoned diner. 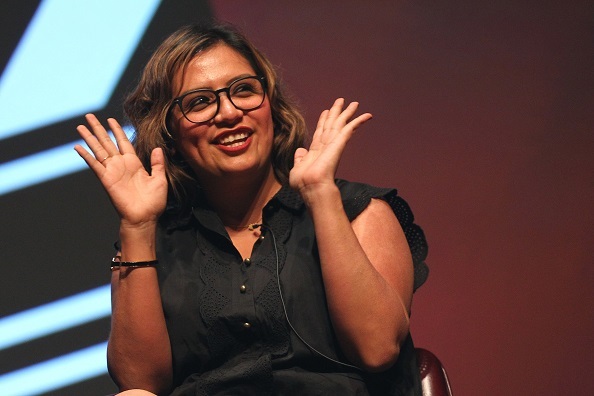 Down the road, Cristela discovered she had a talent for weaving those tough experiences into comedy gold. That gift is on full display in her new Netflix standup special, Lower Classy, as she takes on difficult topics including racial stereotypes, immigration, poverty, and parenting, all with her trademark smile and laugh. Cristela recalls the long journey that led to the special, and how being a comedian is, for her, about more than simply making people laugh. Cristela Alonzo's new standup special, Lower Classy, is available to stream on Netflix now. Stretch Armstrong is a renowned DJ, record collector, and writer. It's impossible to tell the story of New York rap in the 1990s--what some people consider the Golden Era of Hip-Hop--without at least mentioning The Stretch and Bobbito Show, the influential college radio program that he and Robert "Bobbito" Garcia co-hosted from 1990 to 1998. In their time, Stretch and Bobbito were among the only FM radio outlets for a generation of New York rappers. MCs like Jay-Z, Wu-Tang Clan, Notorious BIG, and Nas. The behind-the-scenes stories from those days are the stuff of hip-hop folklore, and the subject of documentary that came out a little over a year ago, called Stretch and Bobbito: Radio That Changed Lives. It's available to stream on Netflix now. Stretch, whose real name is Adrian Bartos, also recently co-authored a book. He and Evan Auerbach teamed up to make a visual history of New York City's club scene, called No Sleep: NYC Nightlife Flyers 1988-1999. The Outshot: "Wells for Boys"
Gloria Calderon Kellett has been in show business as a writer, producer, and actor for almost two decades. She began her career writing on Andy Richter’s show Quintuplets. She also worked on How I Met Your Mother and Rules of Engagement. When Norman Lear, the legendary TV producer approached her about doing a reboot of One Day at a Time - his 1970s hit sitcom - she jumped at the chance. She was joined by Mike Royce, a veteran TV producer of shows like Everybody Love Raymond and Men of a Certain Age, and Gloria. 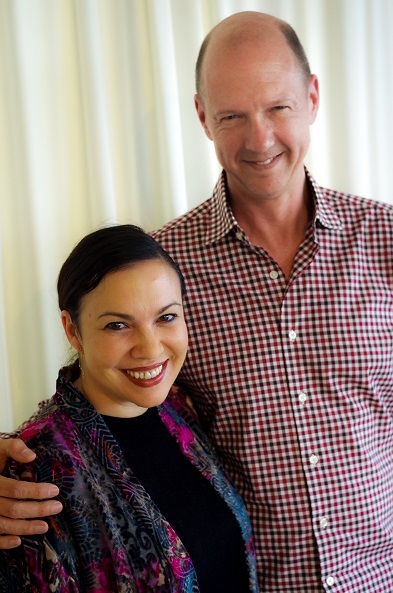 The two tell Jesse about how they began to conceptualize the new show, how Gloria avoided being being labeled as the "latina writer" during her career, and how they approached writing about marginalized communities in a sitcom format. You can watch the reboot of the Norman Lear classic One Day At A Time by streaming it on Netflix. New York based rapper SAINt JHN spent his youth travelling between Guyana and New York. He realized early on, following his older brother’s lead, that he wanted to be a rapper. He began his career as a songwriter, with credits that include Usher’s 2016 hit Crash. He's now writing songs for himself and creating work for GØDD COMPLEXx, his music and art collective. He knows the record that got him started - it's a 1999 album: Jay Z's Vol 3. He even remember the song that changed his life: Jay's classic Dopeman. You can listen to SAINt JHN’s latest single Roses on his Soundcloud and make sure to watch the music video that he directed and produced. You might think that growing up the son of one of history’s most beloved R&B and Soul singers would be the greatest gift. But Todd Mayfield and his siblings didn’t always see it that way. Curtis Mayfield, who defined a whole generation of politically conscious music, left behind an incredible legacy of stories, music, and touched lives. Todd, despite his propensity to separate himself from his father in his younger years, felt it necessary to biographize his father’s life through anecdotes, interviews with friends and family. This week, Todd and Jesse talk about what it was like growing up with Curtis Mayfield as a father, his musical transition from the 1960s to the more politically involved records of the 1970s, and the incredible music that he was able to create when he was paralyzed from the neck down during the late 80s to his final days in 1999. Todd’s biography of his father, Traveling Soul: The Life of Curtis Mayfield is out now. 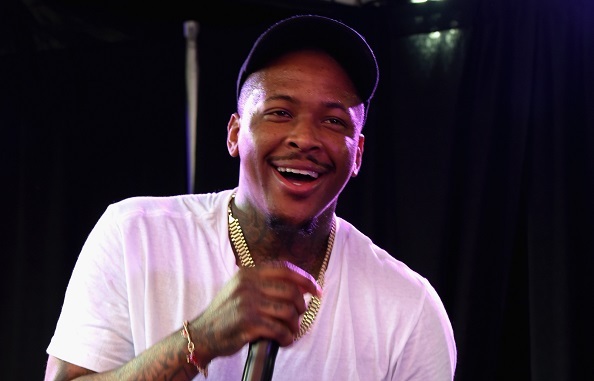 This week, Jesse talks about LA rapper YG’s particular sound and philosophy. This episode, Jordan Morris of @midnight and Jordan Jesse Go! sits in for Guy while he is away. Jordan and the gang discuss the upcoming Inauguration, the President elect’s difficulty in securing entertainment, and the different media choices that people from different parts of the country consume. They talk about the red/blue divide in terms of the reality TV choices of particular zip codes around the country. Karen tells us why she’s all about “Blackish” this week, and Wynter sets the record straight about the Golden Globes. And as with every week, the panel tells us what their latest jams are. The Bullseye team has taken on the terrible task of finding the best of the best comedy albums and bringing them to you in a nice little end of year package. 2016 has been a rough year, so listen to some incredible comedians to celebrate making it through! Links have been provided below for all of the comedians you’ve heard on this episode.